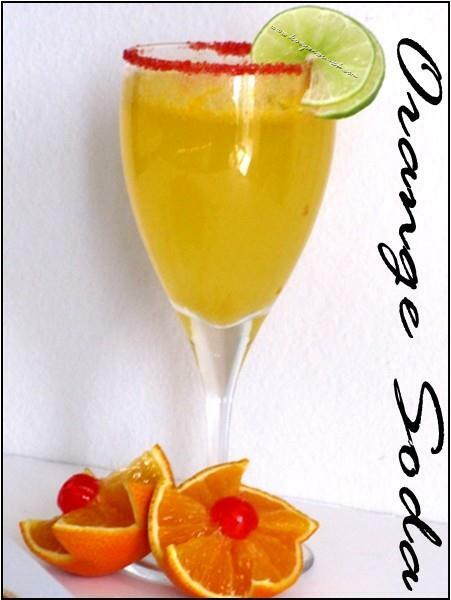 Mix Orange juice and simple syrup together and pour it in a glass.Now top up the glass with sparkling water,stir and serve cold. superb...i loved it...itz very easy to prepare...at home..
That looks like an exotic drink! Quick and easy! What camera do you use Kavya. Nice pics too.